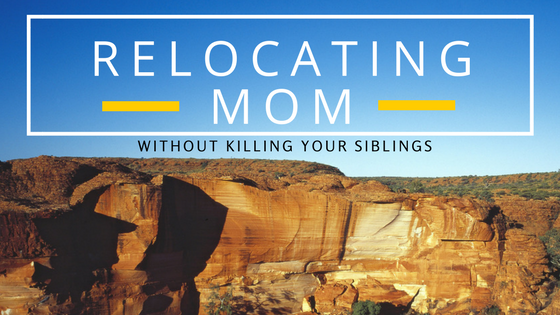 In the second SeniorMoves.org podcast, we discuss one of the top challenges most families face when relocating Mom and Dad – sibling dynamics. Having to move your aging parents from your family home can be a distressing and trying transition, but now add in dealing with downsizing and dividing family assets, and you’re suddenly driving head-on into an emotional whirlwind. In this episode, you’ll learn some main contributing factors to sibling conflicts – including some negative traits you may be guilty of – along with ways to uproot the deeper issues and limit feelings of anger or resentment. We also express the value of a third-party expert, like a Senior Move Manager, to step in and take control over difficult and delicate situations. You can learn more about our movement to help seniors and their families design a living environment for the winter of their lives at www.seniormoves.org, or click here to contact us directly. Stay tuned to our monthly podcast to learn more solutions to age old problems.